Welcome to The Arty Loon Show! We have it all! Call to have Arty bring YOUR PARTY! The Arty Loon Show! 2018! Floating the Birthday Boy! This can be YOUR CHILD! Cutting a Volunteer in half! ALL NEW ILLUSION SHOW! from Orange county magician Arty Loon! Schools, Fundraisers, Socials events and MORE! BIGGER SHOW for BIGGER BACK YARDS! Yes we can do this in YOUR back Yard! Call for details! Halloween SHOW! Dont forget to book your Halloween show! October books up fast! Come Join The Arty Loon Show for some great fun! 1.26.19 at 2:00pm! La habra depot theatre! Check out Arty's new show! Available now! Happy winners of an autograph photo! los angeles kids magician Arty Loon! Los Angeles magician Arty Loon! Voted #1 Family Entertainer in Los Angeles! Join the thousands of families who had Arty bring the party! 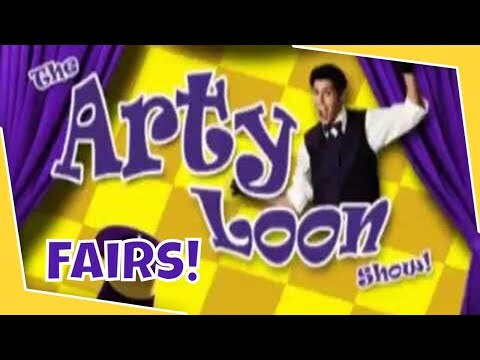 Be amazed by the one-man circus that is Arty Loon! Delight your guests with Arty’s hilarious magic, crowd-pleasing energy, and quirky style. 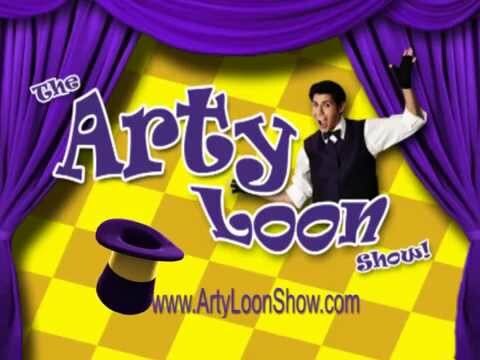 The Arty Loon Show is an outstanding show for kids while including a variety of thrilling entertainment for ALL ages! Arty Loon has entertained in a variety of venues, from the prestigious Magic Castle to the living rooms of A-List celebrities. Bring The Arty Loon Show to YOUR party, corporate gathering, or other special event and give your guests an experience they will never forget! The Arty Loon Show is really great! Kids Love It!!! We loved having The Arty Loon Show!!!! We have been so fortunate to have the Arty Loon show at both birthday parties for our boys. Both Adults and children loved the show. Our guests couldn't stop laughing and were amazed at his tricks. He made sure to get the crowd involved in the tricks. The kids loved participating ! He has truly become a hit at our parties and we highly recommend him to all ages ! Another neat thing about him is, he sends out a confirmation email, a receipt, and calls before the event. He's always early and you can tell he's put his heart and soul into his business. F.Y.I. he has several packages to choose from. So ask him ! Arty thank you for giving us such an amazing time! The kids and adults enjoyed it! Im still trying to figure out how you made Edgar float! just amazing! We'll be calling you again soon for my daughters birthday in march. Thanks again! I would recommend Arty to any parent. 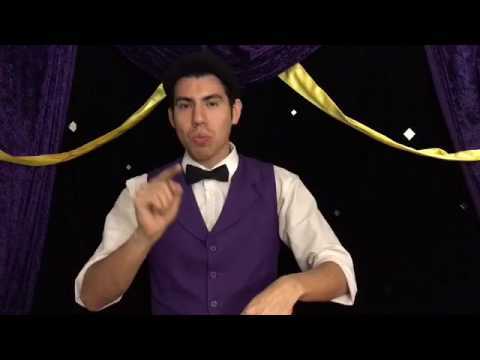 I hired Arty for my little girls 3rd birthday party, and had him do a 45 minute magic show with balloons. He was absolutely incredible with the kids. So much energy and excitement. I was amazed as to how my daughter just opened up, when she is usually so shy. He was definitely the highlight of our party. I invited Arty to perform at our annual fundraiser, and he did not disappoint! Absolutely fantastic! He went above and beyond our expectations! He is amazing with kids and his show wasnt a normal rinky dink style like we've had in the past, but an actual show! With stage setting, music, lights, and some really amazing magic! i would recommend him to any school and parent. Arty brought so many smiles to our school functions. All the students were so happy to see his performance again!!! One of the best shows! I hired Arty for my daughter's 11th birthday party with 33 kids in attendance along with 30 adults. His show was absolutely amazing and fantastic. He entertained everyone and his card trick where it magically comes off the paper had all the adults watching in awe. He came promptly on time to set up and made the loveliest and most creative animal balloons I've seen! My guests are still talking about the show and my daughter wants to hire him again when we throw her another big party. Experience the magic of Arty Loon!!! Arty Loon has performed at both of our children's birthday parties.We have also been fortunate enough to catch him at the local library! You would not believe how much of an impression he has left on everyone! His magic kept all the children mesmerized, and the adults felt like kids again. The balloons he created were amazing!! Tales from those parties have forever etched those birthdays in our hearts! I hired Arty Loon for my son's first birthday and it was a great decision. Arty was the highlight of the party. He had the kids and the adults laughing and in there seats wondering what was next. He was very active with kids and adults which made it very fun for everyone. Wonderful show at Norco library. My grandson is autistic and ADHD. He and I went to see the Arty Loon show at the Norco library. Logan was thrilled to be asked as his assistant. I don't know who had a better time, Logan who is 10 or me, his grandfather who is 59. The amount of patience exhibited by Arty was phenomenal. Logan was at a high energy level that day, however Arty who was balancing both his act and his patience Factor did a wonderful job. Thanks Mr. Loon. Your "quirky" is my normal. What a gas! We first saw Arty perform at the Pico Rivera dog fair. He was amazing! We then booked him for our daughter's birthday party. He was very entertaining and professional. My friend hired him for his kid's birthday party. Arty was great. His balloons were very elaborate and impressive. With over 18 years of experience and over 1000 shows under his belt, Arty Loon is one of the strongest family entertainers out there. Arty began by taking an interest in the fine art of magic at an early age. At the age of 14 he became apart of the Magic Castle's junior magicians program, and since then has been astounding audiences. The Arty Loon Show is packed full of fun great for the whole family. 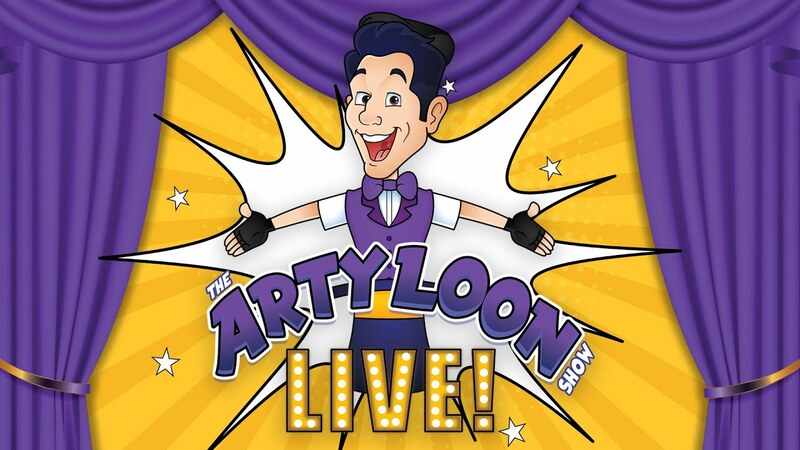 With tons of audience participation, marvelous magic, and Arty's quirky sense of humor, the Arty Loon Show is sure to make your next event a BIG hit! Arty calls you one day in advance for any last minute questions or concerns. He arrives 30-40 minutes prior to start time for set up and to assess your audience! Expect a show with high energy, slap stick comedy, and fantastic magic! Thank you for taking an interest in the Arty Loon Show! Creating magical moments all over the world since 2007! Arty's magic has taken him all over the world, and has had the pleasure of working for such clients as MTV, Make-a-wish foundation, Disney, Google,NBC/ Universal,Michael Jackson, Rihanna, Michelle Obama and many more! Arty's talents range from magic to balloon twisting, and stilt walking to juggling. See for yourself why so many families are looney over Arty Loon! Below is a list of our exclusive packages. Each one packed full of fun! Sure to make YOU the hit of the event! $1800. A Las Vegas style show with a wacky twist ! Fun for the whole family! Complete with Backdrop ,sound system, 5 fantastic large scale illusions so fantastic,your guests will scream in excitement! Includes magic, juggling, prizes, high quality balloon art, Face Painting and a balloon sculpture of your choice! Arty's combined the best of the best for this exclusive show! Comedy magic, amazing illusions, spectacular feats of juggling, balloon sculptures come to life, plus! We magically appear a live Rabbit! Not only that! We make YOUR child the star by making him/her float in mid-air! Fun for all ages! The Show includes a custom made back drop that adds aesthetic value for any picture you take! Includes- amazing magic,puppetry, juggling, simple balloon art. 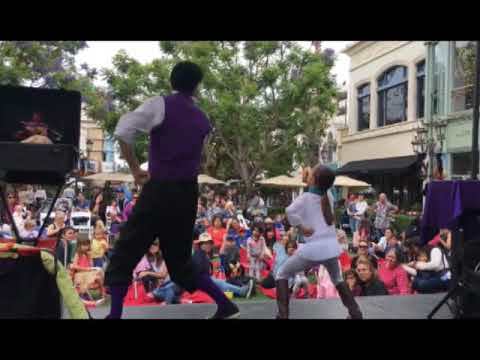 We try to make sure it's fun for all ages by including puppetry for the younger kids, juggling for some variety, great magic for the older kids, all combined with clean humor and physical comedy. We make YOUR child the Star!!! Magic fun for the whole family! Works of art your guests will be happy to take home! We not only twist, we make sure your guests are having a great time while they wait! Colorful works of art your child will enjoy! Magic for everyone! Close up magic your guests will enjoy right in front of their noses! Wonderful for bigger events. We are happy to work with you to attain your perfect package! Looking forward to making YOU the big hit if your next event! Check out Arty in action! We supply everything! All you supply are the guests and the space! We take care of everything so you dont have to! With Arty's clean humor, fun filled magic show, astonishing works of Balloon Art, and gravity-defying juggling, he will surely make your next event memorable! Each is customized to the age range of your guests! Plus we make sure your special guest is the star of the show! you'd be looney not to go with The Arty Loon Show! Give us an email to see all of our rates and packages! Not just Magic, but balloons, face painting, plus much much more! Even add a live bunny appearance to any of our amazing shows! We work with any location. Please call for details.